Info: The Nike Flyknit Racer gets its structure and support from Nike Flyknit technology. The one-piece knit upper seamlessly integrates areas of high support, stretch and breathability while lightweight Flywire wraps the foot and feels like a second skin. 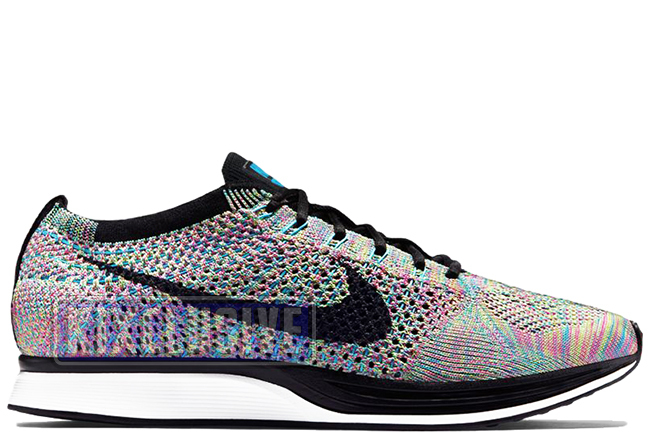 This is the second iteration of the multicolor edition also referred to as the 'rainbow' colorway. September 2015 limited release.